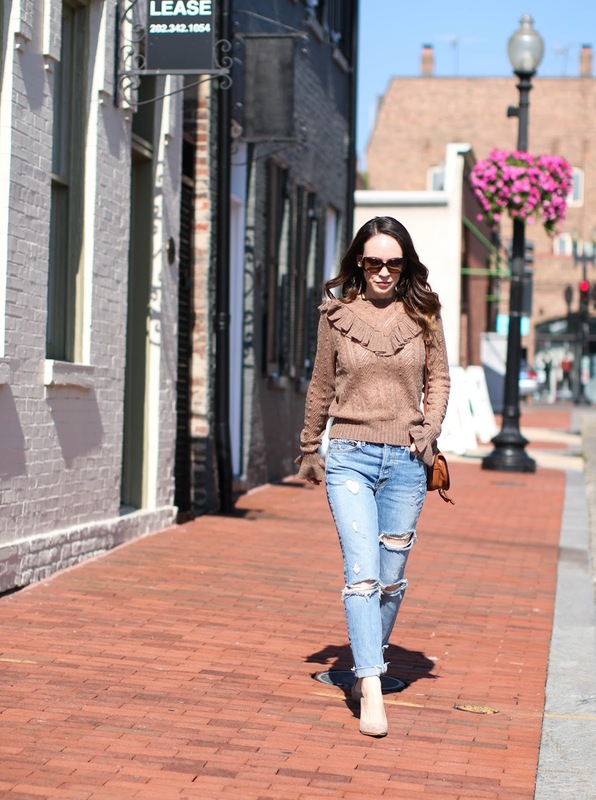 I struggle with finding boyfriend jeans that don't overwhelm my frame. My legs are muscular so I don't want to add any extra bulk, yet I still love the slightly oversized and baggy look that they give. I had heard of "girlfriend" jeans and that they were a bit slimmer in shape and thus more flattering. Since I am always gravitating towards skinny jeans, I decided this would be the perfect combination - baggy yet slim. When I saw these jeans on Revolve, the shape looked perfect and the name of the brand is GRLFRND! These are described as a skinny fit, but are clearly more baggy than most of my traditional skinny jeans. I absolutely loved them and have worn them non-stop since they arrived. There is no stretch to the denim so they are stiffer than what I am used to, but I like that look for this style. After buying these, I was interested to find other traditional "girlfriend jeans", so I rounded up a few from different retailers that I thought looked interesting: these are a great price point, love the high waist of these, these have very little distressing and look more classic, and here is an entire page of girlfriend styles! I also picked out my favorite styles from the brand, GRLFRND down in the widget below. Have you tried the girlfriend style? What are your favorites if you have? Thanks for this post. I've been looking for jeans without stretch and the girlfriend fit looks perfect. I'm probably the only person on the planet who does not like the look of worn, torn or shredded jeans. Hoping I can find a pair with intact fabric. There are quite a few from the GRLFRND brand that aren't distressed. Maybe that option from GAP - they didn't have much distressing on them. Hope you find some that you love!